Provence is the land of lavender, the Cannes film festival, and ROSÉ. This really is France’s premiere region for the pink stuff. Nobody else puts a spotlight on it in quite the same way. Afterall, it suits the climate and the lifestyle so well. Located on the French Riviera, this is a tourist center for it’s gorgeous beaches. Combine that with that little film festival and a certain bicycle race that tours through here, and you can see that there’s a ready public looking for refreshment. The region’s style is quite dry, often with hints of herbs, flowers, and lots of minerality with a pale pink, coral color. If you’re the type that worries about rosés being too fruity, this is a good go-to region for you. The wines pair easily with a wide variety of foods. Like I said, Provence really makes rosé their calling card. They even have a Center for Rosé Research. Located in the southeastern corner of France, it enjoys a mild, Mediterranean climate, with warm days and cool nights. It gets an average 3,000 hours of sunshine a year, and less than 700 mm/27 inches annual rainfall, most of which is concentrated in the spring and fall. In general, it’s pretty freak’n ideal for growing grapes. The only real caveat is the notorious Mistral, the wind that blows through southern France. This wind can have the pesky habit of wreaking havoc on vineyards when it’s really strong. 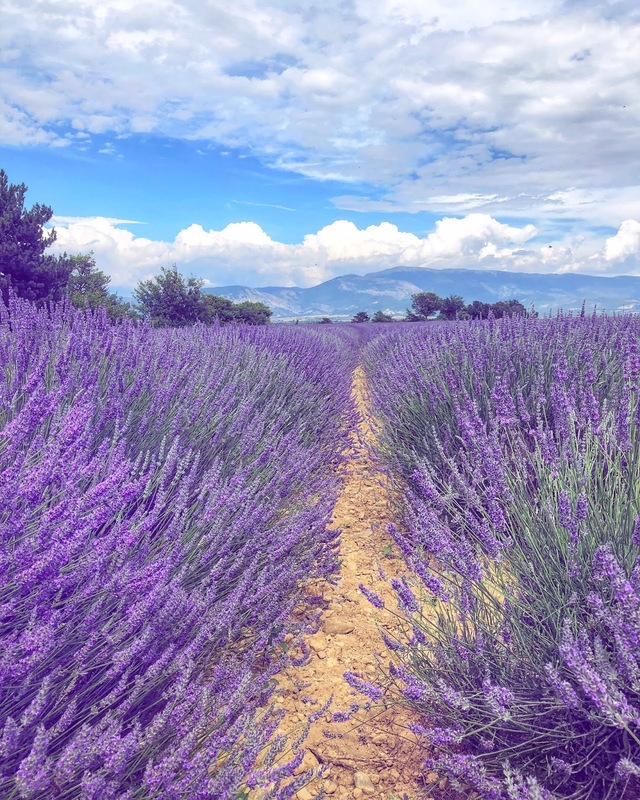 The silver lining is that it helps to reduce the risk of fungal diseases, which all combined makes Provence pretty suitable for sustainable farming practices. Map courtesy of Wine Folly. 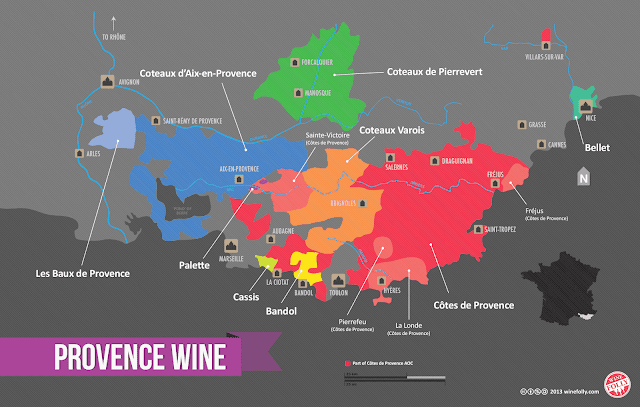 Wine has been made here for over 2600 years, making Provence the oldest wine producing region of France. It’s bordered by the Rhône River to the west and the Côte d’Azur on the east. It has a diverse geography with several mountain ranges and rolling hills. There are a variety of soils including lots of limestone in the west, and schist (granite) in the east, along with a small area of volcanic soils. “Garrigue” is an important feature of the area as well. Wild, often aromatic, resinous shrubs like rosemary, juniper, thyme, and all that lavender, grow almost everywhere and it often comes out in the flavor in wine. Apparently there’s a distinction depending on what soil the shrubs are growing on. It’s Garrigue” if it’s grown on limestone/clay, or ‘Maquis” when growing on crystalline schist. 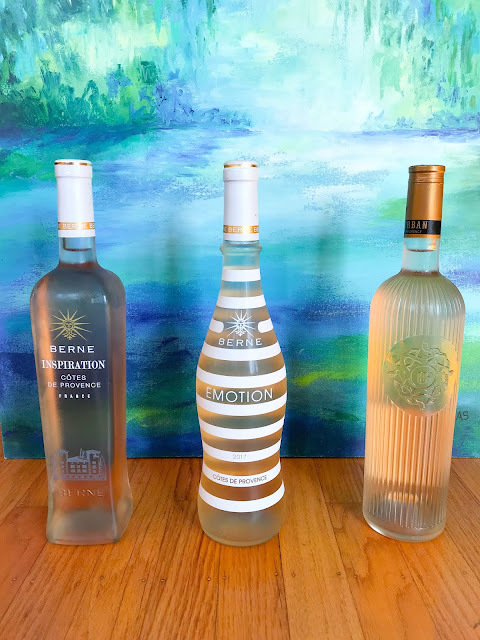 This month the French Winophiles are exploring French rosés and a set of samples was sent by Teuwen Communications for participation in event. I received 3 bottles, no other compensation was received and all thoughts are my own. Ulitpmate Provence's 100-acre estate is located about 30 minutes from Saint-Tropez, near the village of La Garde-Freinet. It has been recently renovated and so far focuses on this one wine. The property is bordered by oak forests. Oak leaves, along with vine stalks, are used to make a natural compost for the vineyards. Concerts and movie screenings are hosted on the property, there are artists in residence, and a restaurant on the property. It seems like it would be a most luxurious stop if you’re ever in the area. 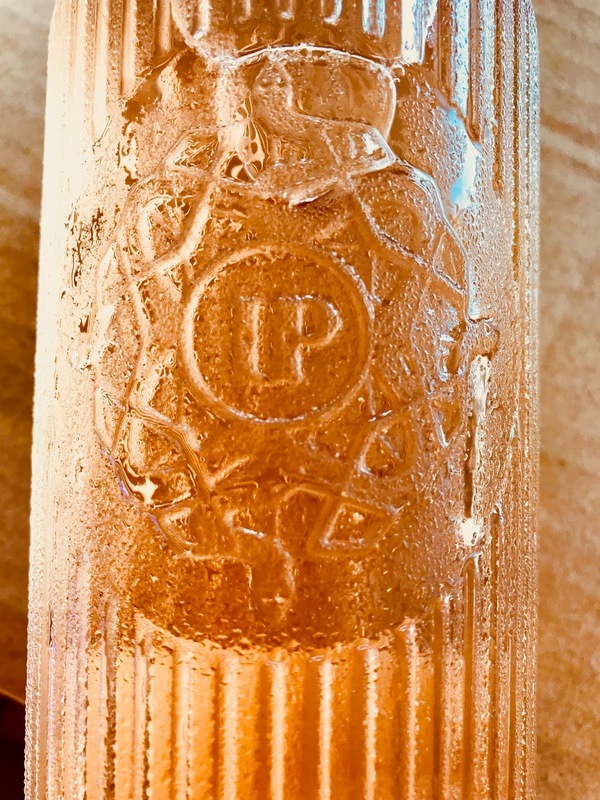 Winemaker, Alexis Cornu, worked in Bordeaux as the winemaker for Michel Roland's personal estate, Château Fontenil, as well as André Lurton’s Maison Ginestet and in Australia for Rosemount Estates. 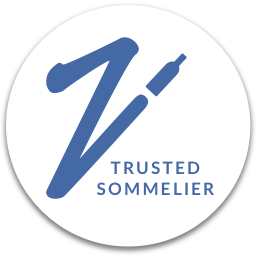 He’s been based in Provence for the last 15 years, where he headed up wine making at Château de Pibarnon in Bandol and at Ortas Caves de Rasteau in Southern Rhône. Greg and I found this wine to be quite delicate with a light perfume of white flowers, faint cherries, and lots of citrus. As the wine warmed up, it became more effusive with white peach notes joining the party as the rest of the aromas opened up and intensified. It was light in body with touch of rounded creaminess to the mouthfeel. The wine was also really crisp with river stone minerality. Fruit notes on the palate of underripe strawberries, white peaches, and pink grapefruit, light herbs, and brisk, medium +, acidity balanced the minerality. To me, this is a wine that begs for simple, fresh flavors. I think it would be fantastic with most seafood, but on this evening I had chicken breasts and eggplant on hand that needed to be used. I thought it would easy enough to tailor them to the wine. The eggplant called to mind ratatouille, which is Provençal in origin, but I wasn’t feeling up to the project on that particular evening. I opted instead for an eggplant-led sheet pan that I could just roast in the oven without a lot of fuss. Given the wine’s minerality and brightness, we thought it might be able to handle some artichokes, which can sometimes be tricky to pair. I used a jarred, marinated version for ease. Lemons, cherry tomatoes, and a mix of herbs completed the pan. If you follow this blog, you probably know I love my Anova Precision Cooker circulator. Cooking food sous vide takes away so much of the guesswork and stress. It think it is MOST useful for foods that are easy to overcook like pork tenderloin and chicken breasts. Chicken breasts really can be soooooooo boring, and they’re often tough on top of that. When they’re prepare sous vide though, you can pretty much ensure they come out juicy and silky. I’ll make them in a batch so that I leftovers to use in salads, sandwiches, and wraps for lunch throughout the week. 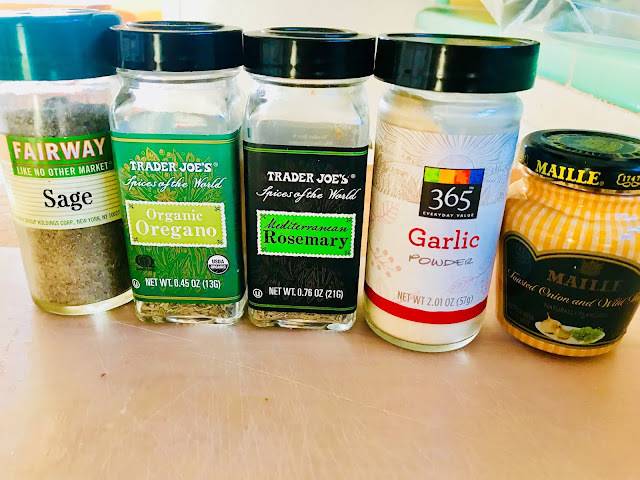 The flavoring in this batch mirrored those on the vegetables, with a bit of mustard added for an extra kick. Everything worked beautifully together. The eggplant and artichokes worked particularly well with the wine when sampled together, as they balanced each other out in both flavor and texture. I garnished the dish with fresh basil as well, which really complemented the the wine in a pretty way. Altogether, this made for an elegant, easy and delicious summer meal. Terroir: The vineyard is characterised by shallow soil, laid on a waterproof subsoil sandstone slab. This excellent terroir is nourished with a natural compost of oak leaves and vine stalks. Winemaking: After harvest, the grapes undergo cold soak maceration for 2 to 3 hours, to produce the pale pink color for which Provence is world-famous. Fermentation takes place in stainless steel tanks for 2 to 3 weeks before bottling. At $22.99 I think this is a solid buy. And hey, you might even get a new flower vase out of the deal. The producers suggest that this wine can be enjoyed “on its own or serve with a charcuterie spread, grilled shrimp kebabs or a light, fresh fruit tart.” I personally think it might too dry for a fruit tart, but other than that, this wine should be pretty versatile. Like I mentioned, I thought it would be lovely with seafood. 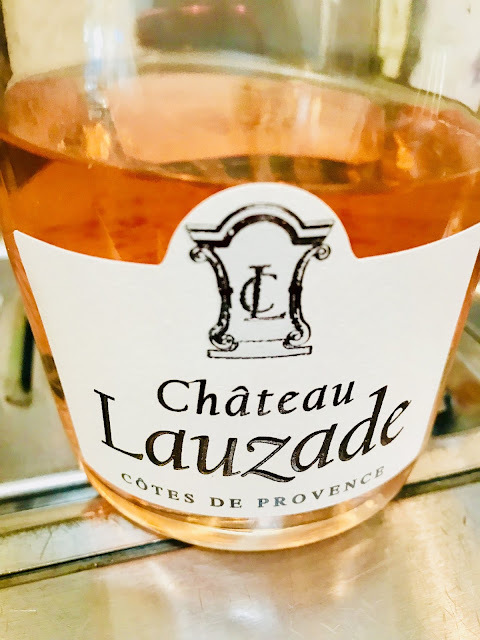 A few days later I tried leftovers of the food with another Provençal rosé from Château Lauzade Côtes de Provence Rosé 2017 and it was also lovely. This is a non-recipe since exact amounts aren’t required. I filled two sous vide bags with 3 chicken breasts each, which made plenty of leftovers to have extras throughout the week. Once sliced, I find 3 chicken breasts makes about 4 portions. You can certainly make the chicken breasts with the same flavoring but cooked through more convention methods like a the grill, pan searing, or oven as well. 2. Rub a bit of mustard on each chicken breast. Place the chicken in heavy-duty plastic bags, about 3 per bag. Add additional mustard along with a generous pinch of each of the herbs in the bag and toss to coat. Place 1 Tbsp butter and a lemon slice in each bag. Seal the bag using a vacuum sealer or via the water displacement method if using a ziplock freezer bag. Note: To use the water displacement method, zip up the majority of the bag leaving just an inch or open at the end. Lower the bag into the water—as you do so, the water on the outside of the bag will push out the remaining air in the bag. Once the bag is lowered the majority of the way into the water, zip up the remainder of the bag. 3. Cook the chicken in the water bath for two hours. 4. When the chicken is ready, remove from the bag and pat dry with paper towels. (Save the juices in the bag to serve with chicken if desired.) Heat a skillet with a little oil over medium-high heat. Finish the chicken by searing in the pan for 1 to 2 minutes per side or just until nicely browned. 5. Slice the chicken and serve with jus (if desired) over the eggplant and vegetables. Don’t get too caught up on quantities here either. Put the eggplant in the oven when the chicken has about 35-40 minutes left in the circulator. 1. Generously salt the eggplant. Place the eggplant slices in a colander or strainer covered with the salt. Set the colander over a bowl and let the eggplant sit for 30 minutes. 3. Rinse the salt off the eggplant and pat dry. Place the eggplant in a greased roasting pan. Drizzle the eggplant slices with olive oil to coat. Sprinkle with a generous pinch of pepper and each of the herbs. Put the eggplant in the oven for 20 minutes. 4. After 20 minutes, flip the eggplant slices, add the lemon slices, and put the pan back in the oven for another 10 minutes. Then add the artichokes, the cherry tomatoes (quickly prick each of the tomatoes with a knife), and the garlic slices. Put the pan back in the oven for another 10-15 minutes, or until the veggies are all warmed through and the garlic is tender. 5. Serve the eggplant with the chicken sliced on top and garnish with feta and basil if using. Photo credit on all of the food pictures to Greg Hudson. Lauren from Swirling Dervish shares Celebrating Our New Home with an Old Favorite: French Rosé. Payal from Keep the Peas gives us Rosé: The Original Red Wine. The chicken looks terrific! I've been wondering about the sous vide cooker and you might have just convinced me! Thanks Payal. And I LOVE my sous vide cooker. It makes everything soooooo easy! This looks like a wonderful summer meal :) Love sheet pan dishes and that chicken? Yum. The perfect pairing for summer rosés! Thanks so much! It was indeed a delightful summer pairing! I was familiar with "Garrigue" but not "Maquis" that was a fascinating morsel! We just invested in a sous vide and I will put your recipe to use! Looking forward to your thoughts on the other wines! I'm sure you're going to love your sous vide circulator! Happy cooking! Your pairings and photographs look like they came straight out of a cookbook from southern France! I absolutely love the idea of the eggplant sheet pan - perfect for summer and, I bet, wonderful with the wine. Thank you so much Lauren! And the eggplant was indeed a beautiful combo! Been thinking about a sous vide, I think you may have convinced me to get one! Sounds like a great meal and wine pairing! And I learned something too didn't know about the distinction between garrique and maquis! Cheers Nicole! Love sheet pan dinners and I'm sure the pairing was lovely. I love that Rose is so food friendly. Your pairing looks great. I don't use my sous vide often enough. Thanks for the inspiration. Institute for rosé research? They really are serious about their rosé in Provence! Sounds like another great pairing!